Moving home, an exciting adventure full of joy, right? Well, it could be, but the truth is that, mostly, relocations are quite stressful ventures. How come that some people enjoy their move to a new home, while others experience an enormous amount of stress? 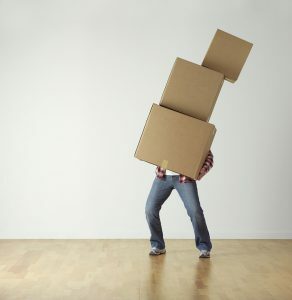 The crucial thing that separates easy and problematic relocations is – hiring moving assistance! With furniture movers in Toronto, you will have professionals helping you pack, transport and unpack your belongings. Given that they have so much experience in the world of moving, most of the moving troubles will be prevented. And making sure you won’t experience troubles while moving home is a precious thing. 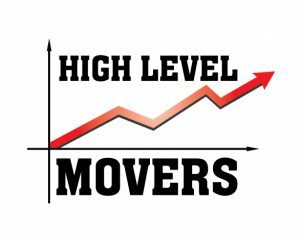 However, bear in mind that not all movers are good enough. Whatever you do, whatever Toronto moving company you consider hiring, make absolutely sure to avoid fraudulent and low-quality movers. Is a DIY move really a good idea? There’s no some simple answer to this question. However, there are certain recommendations we’re going to make to help you decide whether or not you should do everything by yourself. First of all, Toronto is a big city. This makes even a local Toronto relocation difficult to conduct. It means that there are lot more potential troubles that might take place than in some smaller place. Hence, trying to do everything by yourself wouldn’t be the best decision. Sure, most of the people try to save as much money as they can when moving home. Toronto relocation isn’t an exception. Anyway, hiring movers mostly appear to be less expensive than DIY relocation eventually. How? Simply, the movers know how to do everything quickly, safely and efficiently. They have the moving vehicles, equipment, tools, and experience. On the other hand, an average person has none of aforementioned. It means that in case you plan on moving without the help of furniture movers in Toronto, you would need to rent a moving truck, purchase or rent moving supplies and tools, and, above all, have a required know-how to conduct everything safely. Do the calculation, and you’ll see that doing everything yourself won’t be that cheap as you might think. Besides this, without the know-how and experience, everything will take so much time and effort. Also, moving troubles are just waiting to happen. If you want to save some money, we suggest you do easier parts of relocation on your own, but still hire Toronto furniture moving professionals to do everything else. it will help you move quickly, safely, and still remain on your moving budget. How to find the best furniture movers in Toronto? 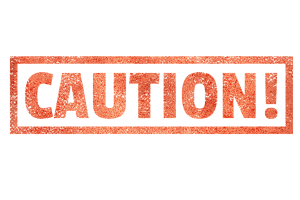 Make sure your relocation will be safe – If you hire fraudulent furniture movers in Toronto, you will have serious troubles. Don’t consider low-quality furniture movers – Low-quality movers will be cheap at the beginning, but they will cost a lot eventually. Pick a perfect company for your particular relocation – Focus on priorities and pick a perfect solution. Be careful if you can’t figure out what is the real company name. For example, the fraudulent movers use different names or don’t mention the company name at all when answering the calls. Pay attention if the movers don’t obviously use the name of their company. A reliable furniture movers company in Toronto will have a logo or name on uniforms, moving trucks, in the office etc. Fraudulent movers won’t. Not owning a proper license is a reason to walk away. Would you hire Toronto furniture movers you can’t be sure whether or not they have a required permit to do the job? If you’re offered to sign an incomplete or even blank contract, you shouldn’t. No matter how persuasive their representative is explaining what are the reasons for that. Has someone accused a company of a moving fraud? If yes, don’t put your valuables at risk. If you’re asked for a large up-front payment, smile and give up on such a moving company. When a mover refuses to provide you with an estimate, it’s good enough reason not to put your furniture in their hands. There are lots of other signs of a moving scam. Basically, the moving frauds became sophisticated nowadays. The best thing to do is to walk away whenever you notice something suspicious. Even if you’re sure you’re gonna escape a moving scam, you still need to be careful. Don’t hire furniture movers before you check the quality of their moving services. If they are not quality enough, you could end up with damaged or destroyed furniture, and that is completely opposite to what you’re hiring moving company for. Read the reviews, check how satisfied their previous customers were. Ask your friends and family members for experiences, perhaps someone has a recommendation for a quality moving company. It’s up to you to set all those standards depending on your needs. However, if searching for furniture movers in Toronto, we would advise you never sacrifice reliability and service quality. Those are simply non-negotiable things. Everything else depends on your particular relocation. If you have some questions, we will gladly discuss everything with you, just get in touch with us.